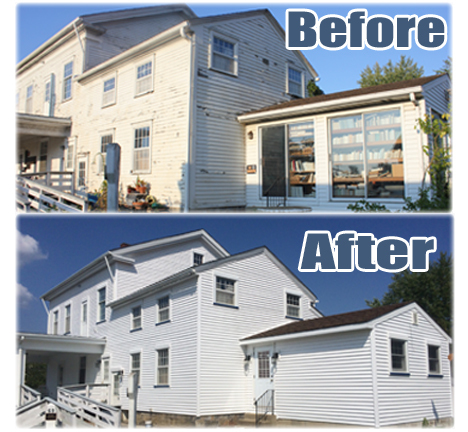 In 2015 we began major renovations of the museum. The 2015 renovations included new siding for the main building and converting the sun room into a reading room to store books and other materials so that they are easier to read and explore. 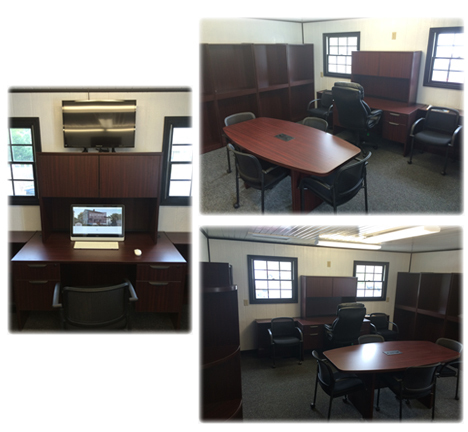 The reading room will be outfitted with new book shelves and tables. 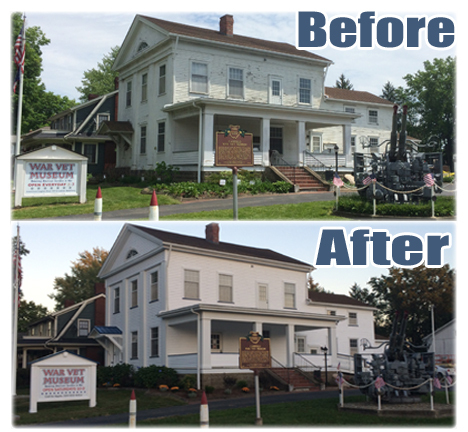 We have made a lot of progress, but we still need donations to complete the transformation. Take a look at the transformations and current projects that need help to complete below! Don't forget to check out the latest updates on the renovation progress, news, and events on our Facebook page through the link at the bottom of the page. The outside of the house was refreshed by Boak and Sons with new siding, trim, column wraps, gutters, and tin roof for the front awning and sign. Everything was painstakingly installed to keep the original look of the building, but provide a longer lasting finish to ensure the building is protected for years to come. The landscaping was also cleaned up and dead trees removed to prepare for additional landscape improvements. The existing sun room at the back of the house was enclosed with new walls and sided along with the rest of the house. The inside was finished with new walls, trim and carpet to make room for book shelves and tables that will provide a better place to read the many books and binders of information housed at the museum. This will also help preserve these items from sun damage. The existing outside lighting was replaced with new fixtures from Coventry Lighting and new LED up-lighting was installed by Edison Lighting. 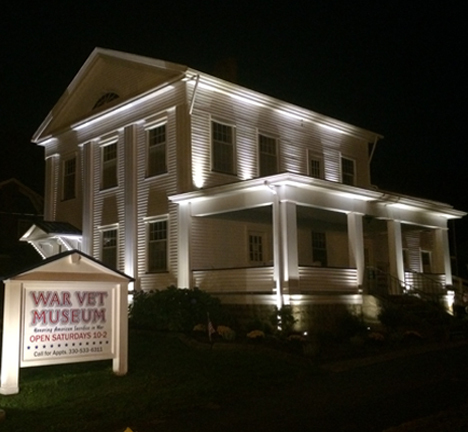 The new lights help accent the museum so this Canfield landmark is highlighted at night as well as it is during the day. The interior of the now enclosed reading room was re-modeled with new walls, trim, and a fresh coat of paint to get ready for shelving and new carpet. The new carpet was installed by DJV Carpet. The shelving, desks, and tables from the Rotary Club are now installed and will provide a space to read through our many books, articles, and binders of information. 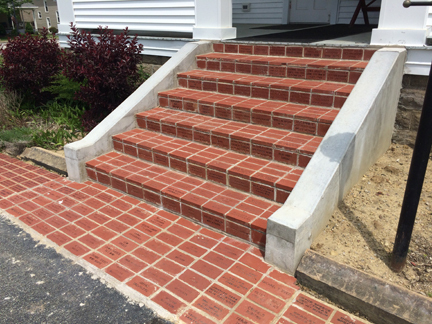 The main entry staircase and walkway contain the memorial bricks and is a staple of the history of the museum. The foundation of the stairs and the mortar that holds the bricks had eroded over time. The bricks needed to be removed and cleaned/ replaced, the foundation re-poured, and the bricks re-set and sealed. Thanks to the Youngstown Foundation and J&M Builders, the foundation has been replaced and the bricks have been re-set. 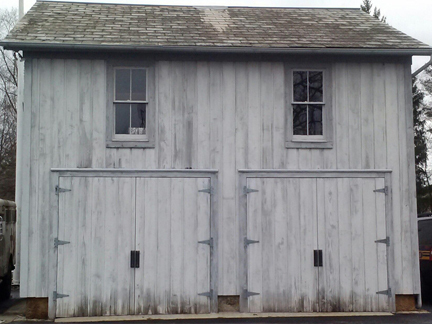 The barn that was original to the property (built in 1810, moved back to the property in 2004) is in need of re-staining of the siding, and roof repairs. 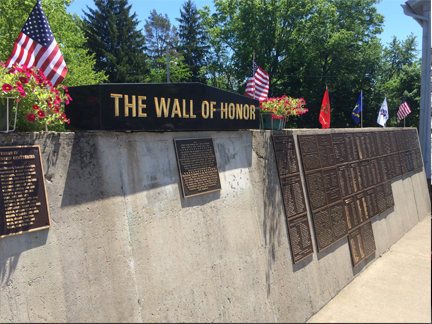 The Wall of Honor is where we dedicate a plaque during Memorial Day services every year with the names of military veterans submitted throughout the previous year by family members to honor them. For information regarding plaque dedication please contact the War Vet Museum. Renovations are to include black marble trim to finish off the placement of each plaque. 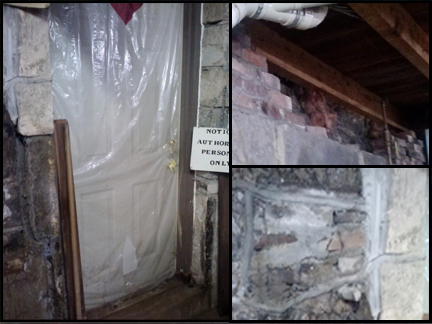 The basement walls are in need of some masonry repair. The renovations that are needed include: closing in a doorway that is not accessible and repairing brick at the top of the wall.